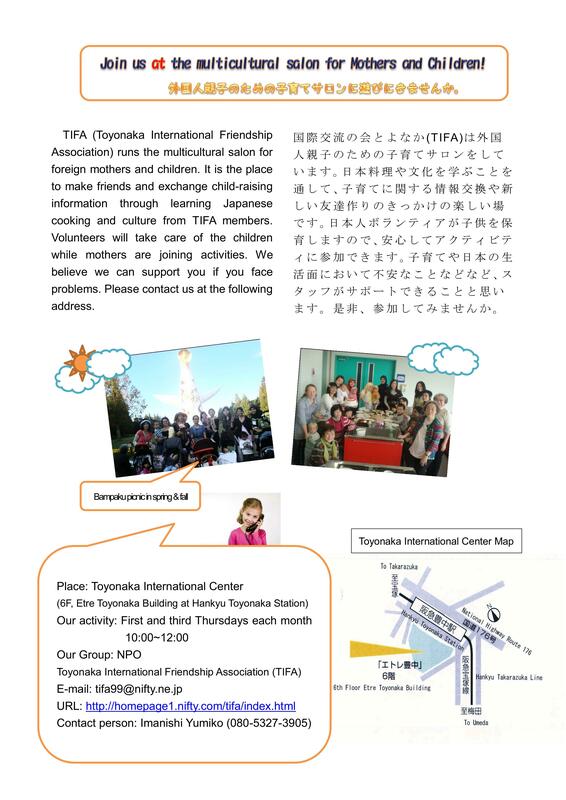 It is the place to make friends and exchange child-raising information through learning Japanese cooking, culture, etc. from TIFA members. Volunteers will take care of the children while mothers are joining activities. For further information, click below! Copyright © TIFA, All Rights Reserved.